What if a slotcar could slide with four wheels? This brainfart was the start of the invention of the original Pipguide by Pipslot. With a Pipguide, the guide of a slot car can move sideways within the chassis, allowing the car to be balanced in corners with understeer as well as the traditional oversteer. This means the throttle commands a more precise and realistic behaviour in corners. In addition to adding realism to the cars' handling, many people have lowered their laptimes thanks to a Pipguide. A Pipguide also dampens the sudden forces a slot car experiences when moving into and out of curves, resulting in a smoother ride and less de-slotting. Developed with active involvement of the international Slotforum community, the first Pipguide version was designed to fit the NSR Porsche 911 (997) cars. A new model was recently released for Slot.it cars. A Pipguide is made from WSF, a strong and flexible plastic, using a state of the art 3D printing technique called selective laser sintering. 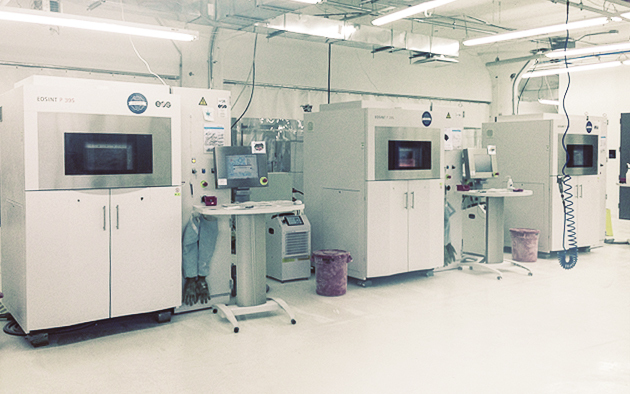 Pipslot's production partner Shapeways uses massive EOS printers to get the industries' sharpest result possible. Each Pipguide is manually checked by a Shapeways operator before it is carefully packed and shipped to your home.